The guidelines were developed as a guide for ‘State and Territory Australian Football Controlling Bodies, Councils, Leagues and Clubs, to help with the provision and development of appropriate facilities for AFL venues’. 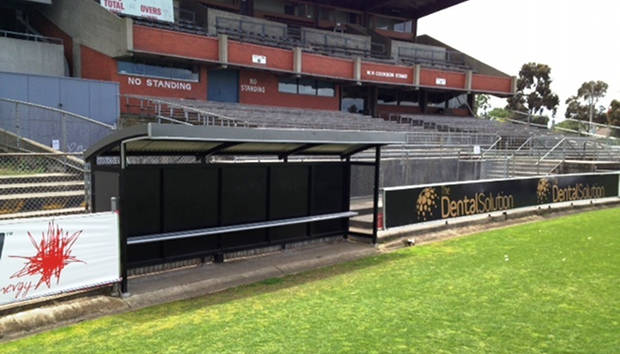 Abel Sports have a range of premium quality Coaches Boxes & Team Shelters that comply with the AFL Preferred Facility Guidelines and they all come with our Five Year Structural Guarantee. We have a range of Goal Posts that are compliant with AFL Preferred Facility Guidelines for Local League, Regional League and State League Facilities. Abel Sports Goal Posts require no maintenance and are manufactured from high tensile Aluminium, they are easy to install and remove and are made here in Australia.